Sonny Burton was forced to retire from the Texas Rangers after taking a bullet from Bonnie Parker in a shoot-out. The bullet so damaged Sonny’s right arm that he had to have it amputated. While Sonny struggles with recuperating and tries to get used to the idea of living a life with only one arm, Aldo Hernandez, the hospital’s janitor, asks Sonny to help find his daughter and bring her back home. She has got herself mixed up with a couple of brothers involved in a string of robberies. Sonny agrees to help, but is more concerned about a wholly different criminal in town who has taken to killing young women and leaving them in local fields for crows to feast on. 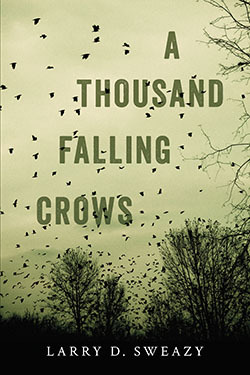 Just as Sonny is able to track down Aldo’s daughter, he comes to an uncomfortable realization about who might be responsible for the string of murders and races to nab the killer before another girl is left to the crows.